Buy or Lease a New Honda Near Phoenix! Shopping for a new Honda vehicle at a great price? Right Honda is offering opportunities to save on popular models like the Honda CR-V, Accord, Pilot, and Ridgeline. Our rotating new vehicle specials make it possible for Glendale shoppers to finance or lease the car they want for a cost-effective monthly rate. Explore our current specials above, then take a few minutes to get pre-approved online! 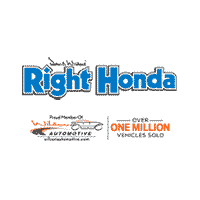 Why Shop with Right Honda in Scottsdale? Whether you're searching for a compact car, family SUV, or tow-ready truck, with advanced safety features, Right Honda can help you find it. Topped off with workable financing and leasing options. Our team also handles lease returns, so when your lease term is up, you can swap cars, purchase your leased vehicle, or walk away with no obligation Meanwhile, our service center is available Monday through Saturday to help care for your new Honda with oil changes, brake pad replacement, tire rotations, and more. If you have questions about how to take advantage of our new vehicle specials, contact us today!